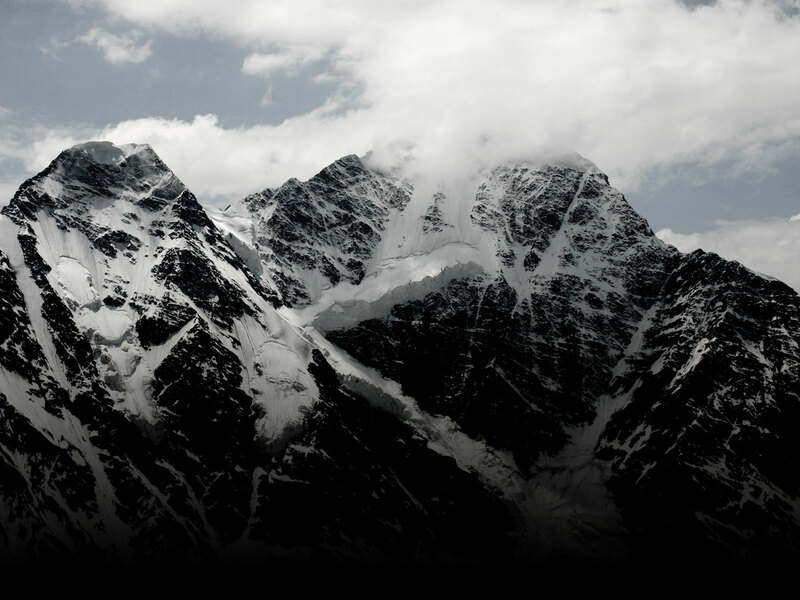 In a week’s time, I’m starting what will hopefully be the last expedition of my Seven Summits challenge. I’ll be flying to Alaska with the hopes of scaling 6194m Denali (also known as Mount McKinley), the highest mountain in North America. 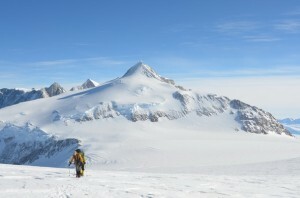 I’ll be climbing the mountain with Alaska Mountaineering School (AMS) and my guide will be Mike Hamill, an all around great guy with whom I’ve already climbed Vinson Massif, the highest mountain on Antarctica, and who was also the lead guide on my recent expedition to Mount Everest. 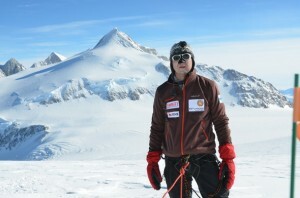 Despite being just 34 years old, Mike is already one of the top mountain guides in the world. 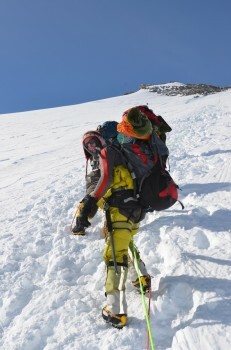 He’s been guiding for 12 years and has an impressive climbing resume, which includes for example four summits on Mount Everest, completing the Seven Summits (Bass List) four times, 19 summits on Aconcagua, five summits on Cho Oyu and four summits of Vinson Massif. Today, Mike guides around 200 days a year exclusively for International Mountain Guides (IMG) and AMS across all seven continents. 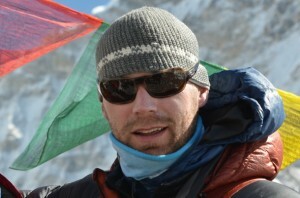 His typical year begins with Aconcagua in Argentina before moving to Nepal for a two-month expedition to Mount Everest. 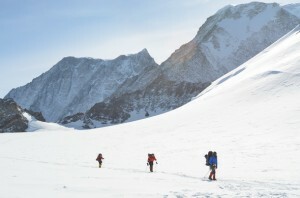 After Everest, Mike heads to North America’s highest mountain Denali, one of his favourite annual pilgrimages, and continues from there to Europe’s highest peak Elbrus in Russia. 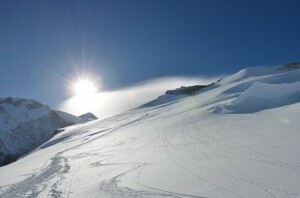 Then it’s typically time for a trip or two on Mount Rainier, close to his home in Seattle. 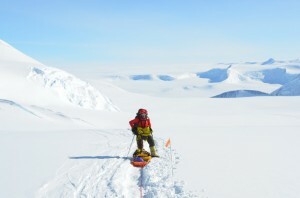 In the fall, Mike normally makes at least one trip to Vinson Massif on Antarctica. Last year, Mike also managed to fit in a combined expedition to Shishapangma and Cho Oyu, summiting both +8000m mountains within eight days! 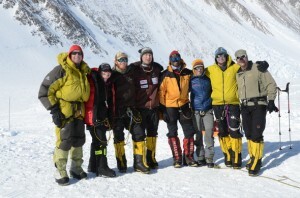 Somehow, in the past year Mike has also found time to put together a guide book, “Climbing the Seven Summits”, targeted as a guide book for people interested in the Seven Summits. The book is published by Mountaineers Books and it was released the day before I summited Everest! 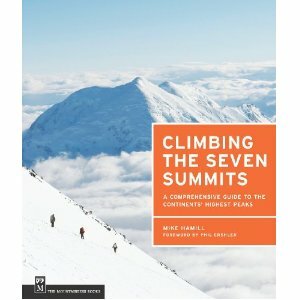 For anyone considering the Seven Summits challenge or interested in learning about the mountains from the safety of a comfortable chair, check out Mike’s website as well as his new book on Amazon! Ernest Shackleton was an Irish polar explorer who’s ship got trapped in Antarctic ice and forced the crew to spend the winter there. Somehow Shackleton managed to keep his crew alive and return everyone successfully to the United Kingdom. I sat at the Shackleton Bar in Punta Arenas, a place where Shackleton himself had spent time in, with my expedition team, celebrating our successful climb and discussing how different his expedition was compared to us. 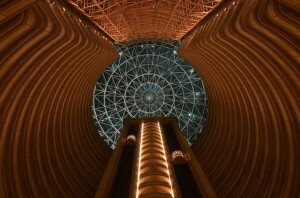 Our dinner and celebrations last night stretched well into the early hours and I was back at the hotel around 0400. I managed to sleep only for a few hours before having to wake up to hand over photos I had promised to Juarez who was leaving on an early flight. At 1100, I headed to the airport with Mike, Gabriel, Helmut and Rohan who were all on the same LAN Airlines flight to Santiago with me. I don’t have much memory of the flight – I was asleep before the plane even took off! In Santiago, we said our farewells as the rest of the guys continued with connecting flights while I headed back to the Hyatt Santiago, where I had spent a few days before flying to Punta Arenas. After handing over our bags at 2200 the night before, we simply sat around, trying to kill time before our 0200 pick up for the flight. 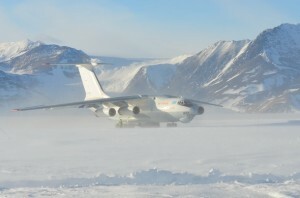 Just to clarify, there’s no airport, but simply a blue-ice runway, a few miles from the Union Glacier camp, where the Ilyushin lands. In our case, the trip to the runway, was on a trailer pulled by a snow-cat. 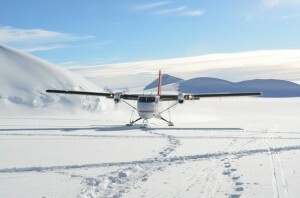 Unfortunately, Antarctica decided to give us a cold send-off and our 30 min ride to the blue-ice runway on the back of the snowcat was extremely cold. At the runway, we quickly huddled into a small building (maybe 5×5 meters inside) to wait for the arrival and unloading of the plane. 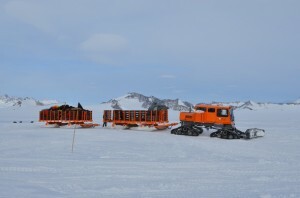 The plane arrived on schedule at 0225 with about 30 people preparing to run a marathon (and some following that with a 100km ultra-marathon the next day) on Antarctica. Unfortunately, the plane also brought some equipment for a Brazilian research team, which took a long time to unload and we didn’t manage to board the plane until after 0500. Once on board, I along with many others, went straight to sleep and only woke up when the plane touched down in Punta Arenas. Then it was straight to a hotel for a wam shower, first one in two weeks, as well as some room service before resting for a few hours and heading out for a final, celebratory dinner, with the expedition team. We had another long day waiting for news of a return flight to Punta Arenas in Chile. We spent the day talking and watching movies on iPod’s etc. Again, we had a few false starts, but finally the news that everyone had been waiting for came: we should have our bags ready for pick up at 2200. The Twin Otter had brought us back to Union Glacier at about 0145 and it was 0300 before we all headed to bed, so most people took the chance to sleep in. Since I had decided to sleep in the mess tent, I was woken up at 0800 when people in the camp started filing in for breakfast. 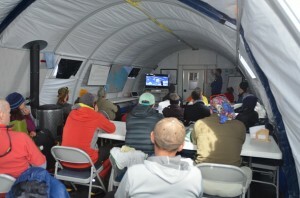 We spent the day enjoying the luxuries of Union Glacier such as the warm mess tent, toilets and even a movie, hoping for news regarding an Ilyushin flight back to Punta Arenas. 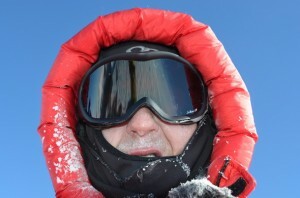 I saw Rob, my guide from Elbrus a few years ago, and learned from him that Antarctic Logistics and Expeditions is expecting over 100 people, including the Norwegian Prime Minister, to arrive for the 100-year anniversary of Roald Amundsen reaching the South Pole on 14.12.1911. 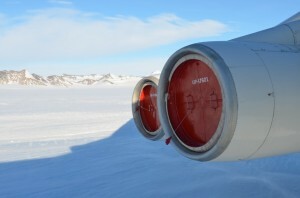 However, due to bad weather, the Ilyushin could not arrive, so at the end of the day, we had to head back into our tents for another night in Antarctica. Despite the long summit day yesterday, we got up early and began our 1660 vertical meter descent to Vinson Base Camp at 0915. I was back in the three-man rope team with Helmut and Rohan, who was thankfully feeling much better. 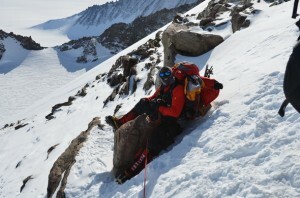 Our rope team led the way down and it took us just over two hours to descend the fixed ropes to Camp 1. 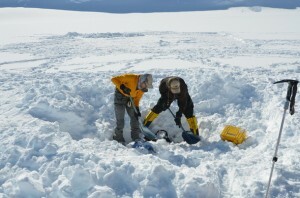 At Camp 1, we dug up our cached gear and food, and continued down to Vinson Base Camp, which we reached at 1715. 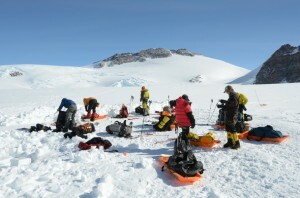 At Vinson Base Camp, we dug up more of our cached gear, pitched our kitchen tent and enjoyed some food and a good chat while waiting for a DHC-6 Twin Otter to come and take us back to Union Glacier, where our expedition on Antarctica had started some week and a half ago. 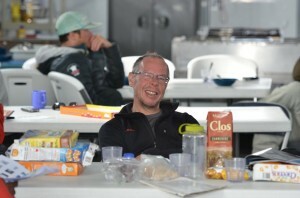 After several delays, the Twin Otter finally arrived at 0100 and flew us back to Union Glacier, where our team pitched tents…although I decided to sleep in the warm mess tent – sitting on a chair. We started our summit day at 0910 in the same three-man rope teams we have gotten used to, which in my case meant Helmut and Rohan. However, after three hours we had to switch teams as Rohan was sick, so he swapped teams with Gabriel with me moving from middle of the rope to the anchor. The weather was good (read sunny but cold) and Helmut, Gabriel and I were able to move at a pretty good pace just behind a team led by our main guide Mike. 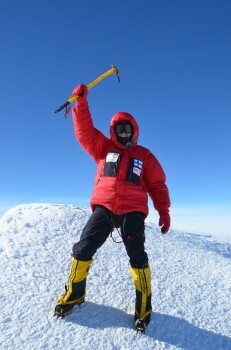 We reached the summit at 1615 after about seven hours and just behind Mike’s rope team. A bit later our third rope team, lead by our assistant guide Chris, also made it to the summit, which meant every climber on our team made it to the summit! The feeling of reaching the summit is always special and we soaked up the beautiful views for 30-45 mins in -30C before heading back down – remembering that the summit is just half way! 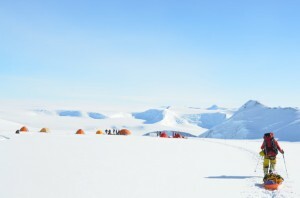 We reached our tents in Camp 2 at 1940, which meant our summit day had lasted just about 10.5 hours. Most of us headed straight to the warmth of the sleeping bags with Mike and Chris preparing dinner to replace the energy used on the day’s effort. 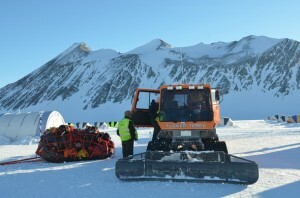 Tomorrow we would take down the camp and head all the way down to Vinson Base Camp, 1660 vertical meters below. After a rest day, we were all full of energy, so taking down the camp, caching some of the gear and packing our bags was pretty fast this morning. Our bags were heavy, but thanks to the trip to Camp 2 the day before yesterday, we’re all better acclimatized and combined with good weather, we made quick work of the steep hill to Camp 2, reaching it in just six hours. Then we pitched our tents quickly, had some dinner and prepped our bags ahead of a summit bid tomorrow morning. This is it! A different kind of mascara! Due to the late day yesterday, the plan was to sleep in, but the cold morning…or should I say the snoring of my tent mates, woke me up early again. 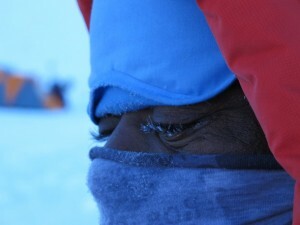 Rohan was also up and the cold morning is well highlighted by the frost on his eyelashes!!! The day itself was pretty uneventful, we whiled away the hours by chatting, eating and lying down – in preparation for moving to Camp 2 tomorrow.